For starters we were in Rochester the night before my daughter’s surgery. Swimming was first on her to-do list since it would be the last time she would be able to swim for a long while (why is it she is always on a no swimming restriction in the summer?) and then we headed to Caribou Coffee. The lady behind the counter asked very sweetly if the [large] coffee drink was a special treat for Ry to which I responded no we’ve just learned after so many surgeries that if she has a lot of caffeine she’ll be able to stay up later and have that midnight snack before the no food or drink restrictions go into effect. Maybe the normal answer was just nah, we were just thirsty? Then the day of Ryley’s surgery we had the opportunity to meet with the anesthesiologist. The poor guy walked in, sat down, and then proceeded to take notes while I told him what protocol he needed to follow, what medications to avoid, and even what form of sedation was best for her. Then I educated the nurse on primary immune deficiencies, told her where to place the IV, and gave them the IV covering that they needed to use because of Ry’s allergies. The poor people were in too much shock to even argue with me over a-n-y-t-h-i-n-g. I think the normal response when people walk in the room is to just say hi, or how are you today, or something a little less procedural or medical than my approach. On a positive and very normalnote though Ryley came through the surgery remarkably well; she had an allergic reaction to the tape used on her eyes but she kept breathing and even woke up without hesitation when the time was right. We are dealing with some post-surgery inflammation (and maybe even infection) because the surgeon is refusing to acknowledge that her body may not respond to his impeccable work like his thousands of other “normal” patients so we’re on pins and needles until the packing comes out in another few weeks. We checked out of the hotel only to check back in several days later for Caden’s surgery. Same pre-surgery routine—swimming and a meal of the child’s choice; Ryley picked a great buffet while Caden went the McDonald’s- commercials-show- Pokemon- toys- in- their- happy- meals –so- I- want- that route. Here’s our “normal” for you—ordering a cheeseburger with no burger in the happy meal. Seriously the order taker’s response is priceless—you should try it sometime even if you eat meat! The next day, a few raised eyebrows and a lot of questions later, we were able to hang out in a private room in the pre and post-op recovery room with Elf the super service dog by Caden’s side. Interestingly we drew the surgeon we really didn’t want performing Caden’s procedure only to learn that she was a huge dog fan and she spent some quality time on the floor loving on Elf—it was seriously the most human we have ever seen the lady be. I’m not going to lie here—it is HARD walking in places with the neon-flashing-look-at-us sign that is our service dog but honestly having Caden’s “bestest” friend there before and after the surgery made any less than “normal” responses we got totally and completely worth it. After a week like that one can only hope for a nice relaxing normalweekend. We did what every “normal” family does to relax—we packed up and headed to the……………….. hospital for a bazillion hours of infusion (did you really think I was going to say river or Disney there?). Of course we followed our usual ritual of “Old McDonald’s” beforehand and as usual the McDonald’s staff stared us down with Elf but never said anything. I’m sure one of these days they will but until then we will keep killin’em with smiles, kindness, and a perfectly behaved super service dog. At the hospital we had a new nurse for one of the kids and I *may* have made the same mistake as noted on Ry’s surgery day—this became apparent when the nurse said so I’m just going to assume that you know a lot more about this when we do and will tell us when we need to do something. I should mention that I actually get along with the nurses on the pediatric floor of our hospital really well for this precise reason—I let them do their jobs and they defer to me when my expertise will help the kids. I think the nurses also like us because we know how to pack to maximize our children’s cooperation and we occasionally take them food—usually chocolate. We come armed with presents that the kids get after IVs are started (I’ve always admitted to the fact that we use bribery whenever medically necessary), we take ipads, chargers, pillow pets, blankets, cell phones, and whatever obsessions Caden has at the moment. Any sign of normalacy is usually lost though when Caden pulls out his stopwatch to time the charge nurse who is called to start his IVs—thankfully the weekend nursing supervisor understands how much focusing on the numbers helps Caden handle the IV and realizes that since we started the stopwatch Caden hasn’t needed anxiety medications or to be held down for an IV start. Next month though he is on vacation and I’m a little scared for the nurse who will be taking his place—I’m pretty sure most patients don’t time IV starts or maybe they do? I do have one bit of news to report that every single “normal” parent out there can relate to. As you might recall the beloved airplane landed on the roof and actually went up the roof instead of down with wind and a few storms. After going all the way up the roof and part way down on the other side, it became apparent that the plane wasn’t going any farther than our gutter. So drastic times call for drastic measures and a daring rescue mission anda double extension ladder and mommy climbing really really high up the ladder; when mommy couldn’t climb any higher the rescue mission then involved mommy sticking her hand into unknown gunk and insects in the gutter. But at the end of the battle of mommy versus the roof—mommy prevailed and I’m pleased to report the airplane is safely back on the ground and in the family room with Caden. Just another normal day, right? On a positive and very normal note though Ryley came through the surgery remarkably well; she had an allergic reaction to the tape used on her eyes but she kept breathing and even woke up without hesitation when the time was right. We are dealing with some post-surgery inflammation (and maybe even infection) because the surgeon is refusing to acknowledge that her body may not respond to his impeccable work like his thousands of other “normal” patients so we’re on pins and needles until the packing comes out in another few weeks. After a week like that one can only hope for a nice relaxing normal weekend. We did what every “normal” family does to relax—we packed up and headed to the……………….. hospital for a bazillion hours of infusion (did you really think I was going to say river or Disney there?). Of course we followed our usual ritual of “Old McDonald’s” beforehand and as usual the McDonald’s staff stared us down with Elf but never said anything. I’m sure one of these days they will but until then we will keep killin’em with smiles, kindness, and a perfectly behaved super service dog. At the hospital we had a new nurse for one of the kids and I *may* have made the same mistake as noted on Ry’s surgery day—this became apparent when the nurse said so I’m just going to assume that you know a lot more about this when we do and will tell us when we need to do something. I should mention that I actually get along with the nurses on the pediatric floor of our hospital really well for this precise reason—I let them do their jobs and they defer to me when my expertise will help the kids. I think the nurses also like us because we know how to pack to maximize our children’s cooperation and we occasionally take them food—usually chocolate. We come armed with presents that the kids get after IVs are started (I’ve always admitted to the fact that we use bribery whenever medically necessary), we take ipads, chargers, pillow pets, blankets, cell phones, and whatever obsessions Caden has at the moment. Any sign of normalacy is usually lost though when Caden pulls out his stopwatch to time the charge nurse who is called to start his IVs—thankfully the weekend nursing supervisor understands how much focusing on the numbers helps Caden handle the IV and realizes that since we started the stopwatch Caden hasn’t needed anxiety medications or to be held down for an IV start. Next month though he is on vacation and I’m a little scared for the nurse who will be taking his place—I’m pretty sure most patients don’t time IV starts or maybe they do? I do have one bit of news to report that every single “normal” parent out there can relate to. As you might recall the beloved airplane landed on the roof and actually went up the roof instead of down with wind and a few storms. After going all the way up the roof and part way down on the other side, it became apparent that the plane wasn’t going any farther than our gutter. So drastic times call for drastic measures and a daring rescue mission and a double extension ladder and mommy climbing really really high up the ladder; when mommy couldn’t climb any higher the rescue mission then involved mommy sticking her hand into unknown gunk and insects in the gutter. But at the end of the battle of mommy versus the roof—mommy prevailed and I’m pleased to report the airplane is safely back on the ground and in the family room with Caden. Just another normal day, right? So how would you define normal? According to dictionary.com, normal means “conforming to the standard or the common type; usual; not abnormal; regular; natural.” Let’s focus on the usual, not abnormalpart for a moment. If we take this literally we could argue that your normal (or usual) isn’t the same normal (or usual) as mine, right? It’s all really about perception then and brings new meaning to the quote my normal is your chaos. A few days ago we started a Wilbarger and Burpee Deep Pressure Brushing program. Prior to starting the program we had to collect data which is just a fancy way of saying that we counted the number of times things like flapping, meltdowns, and “I don’t knows” occurred. This is probably much easier said than done but between my husband and me, I think we did a pretty good job. We were fortunate that the therapist who oversaw Caden’s spring occupational therapy play clinic was willing to teach us how to do brushing and the joint compressions that must follow. Unfortunately I mentioned that I have touch issues so the therapist kindly suggested that I would make the perfect practice model so Dan and I learned brushing and joint compressions on me. The positive here is that I know what the protocol feels like, the negative is that a person who wasn’t family was seriously in myspace touching me…clearly I won’t be volunteering in any of the ot classes on campus anytime soon. The protocol involves 15 minutes of brushing (arms, back, and legs) 4 times a day followed by 15 minutes of listening therapy 2 times a day and joint compressions after every brushing session. We’ll do this for 3 weeks and then develop a maintenance program. Thankfully Caden really loves the brushing and the joint compressions…listening therapy isn’t as big of a hit at the moment. But at least I feel like we are really doing something hands on (literally) with the brushing and joint compressions. This week we also traveled to Mayo to see a GI specialist about Caden’s ongoing stomach pain. He is having an ultrasound of his insides on the 15th followed by surgery on the 18th. There’s concern about one of his stomach muscles as well as the possibility that he isn’t producing all of the digestive enzymes that he needs. He may also have some undiagnosed food allergies—unfortunately the immune deficiency means that he doesn’t respond to allergy testing in the “normal” fashion so that is rarely useful. Now this would be dramatic enough if we didn’t include the fact that Caden’s sister is having a catscan on the 11th followed by major surgery on the 13th, also at Mayo. Seriously my kids can’t even let one have surgery without the other trying to pull a one-up. Ironically I thought a 6 year difference would mean that they wouldn’t fight…..are you done laughing yet? Then there’s work—summer is research, write, and publish season for those of us in academics because we don’t have time during the “regular” year. Of course you can add in school board responsibilities and yard work and everything else that just needs to get done as well as a service dog who has food allergies that give him ear infections, another dog with an ulcer (an ulcer…seriously? ), and a cat with irritable bowel syndrome (all I can say is seriously…..are we becoming the gastrointestinal disorders home for all living being?). This folks is our version of normal. So is it normal? I suppose by “normal” standards this would be considered chaos. By our standards it is pretty darn “normal” though. And we’ll get through it in our “normal” fashion. I’m online shopping for positive reinforcement otherwise known as bribery. My mother who lives many states away is on her way here to help with post-op duty thanks to my kind husband who is driving the round trip to make it all happen. Insomnia is allowing me to practice for the sleepless nights that pain and post anesthesia recovery will mean. I’m nervous and anxious and ready for it all to be over but I also write this from the perspective of a parent who has already watched her daughter endure 13 surgeries and her son 4. It doesn’t get any easier but eventually the chaos does become the norm. Now what doesn’t become normal is the fact that Caden’s airplane is stuck on our roof. Apparently there was an “incident” involving him, his sister, and the trampoline that ended in the airplane being stuck on a part of the roof that a ladder or rescue efforts won’t reach. We were hopeful that wind would be our friend but it just seems to have blown the airplane UP and over to the other side of the roof. It is also “possible” that the airplane is now stuck in an upper level gutter that we can’t quite get to. Now that folks is causing some real drama in our household. 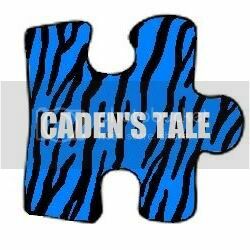 Caden’s tale is currently on plane watch 2012 and we’ll keep you updated…. So how would you define normal? According to dictionary.com, normal means “conforming to the standard or the common type; usual; not abnormal; regular; natural.” Let’s focus on the usual, not abnormal part for a moment. If we take this literally we could argue that your normal (or usual) isn’t the same normal (or usual) as mine, right? It’s all really about perception then and brings new meaning to the quote my normal is your chaos. A few days ago we started a Wilbarger and Burpee Deep Pressure Brushing program. Prior to starting the program we had to collect data which is just a fancy way of saying that we counted the number of times things like flapping, meltdowns, and “I don’t knows” occurred. This is probably much easier said than done but between my husband and me, I think we did a pretty good job. We were fortunate that the therapist who oversaw Caden’s spring occupational therapy play clinic was willing to teach us how to do brushing and the joint compressions that must follow. Unfortunately I mentioned that I have touch issues so the therapist kindly suggested that I would make the perfect practice model so Dan and I learned brushing and joint compressions on me. The positive here is that I know what the protocol feels like, the negative is that a person who wasn’t family was seriously in my space touching me…clearly I won’t be volunteering in any of the ot classes on campus anytime soon. The protocol involves 15 minutes of brushing (arms, back, and legs) 4 times a day followed by 15 minutes of listening therapy 2 times a day and joint compressions after every brushing session. We’ll do this for 3 weeks and then develop a maintenance program. Thankfully Caden really loves the brushing and the joint compressions…listening therapy isn’t as big of a hit at the moment. But at least I feel like we are really doing something hands on (literally) with the brushing and joint compressions.